Totally agree with everything you wrote. 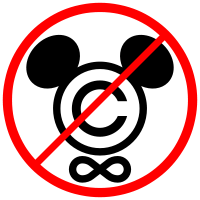 And copyright law is bats*** insane. INSANE. It didn’t win, it is just a minor battle, and what if it was not a battle but a bait? What rights? If I am not mistaken the bill which allows any person on US soil to be held by military forces without any trial was signed by Obama some time ago. History repeats itself and I am just curious if USA will be next mega totalitarian state, because such self-deluding as you just presented, when great dangers raise, are typical sign of incoming revolution. Scientists forced to clean the street in Soviet Russia also were also very optimistic “that’s just an annoyance, let them fool a bit”. USA is much richer than Poland, but the scenario is the same — what do we need freedom for, if we have color TV (Kazik Staszewski). And another quote from the Jew which was just about to be arrested by CzeKa (I don’t remember the name): “Look darling (to his wife) people think everything is fine because the trams are going as usual”. For me, Polish, this situation is depressing. America stood long for all I could dream of — the most important freedom. Now, with all restrictive homeland security laws (next NKWD?) and starting wars wherever it likes, it is no longer the object of dreams for any person in Poland I know. Sad — in 2011 Poland became Russia satellite again for good, and USA shows all signs to repeat French Revolution. I found http://www.ted.com/talks/defend_our_freedom_to_share_or_why_sopa_is_a_bad_idea.html interesting. The final point the speaker makes: SOPA/PIPA won’t be the last go at this by the industry.